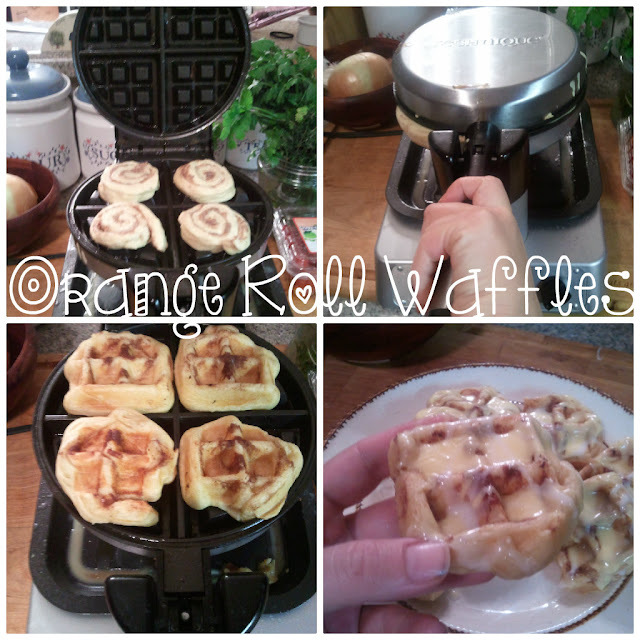 From the Jagger's Family Kitchen... Cinnamon & Orange Roll Waffles! How often do you use your waffle machine!? We might use ours 2 times a month.. and I have a super nice one.. ( Thanks mom! ) 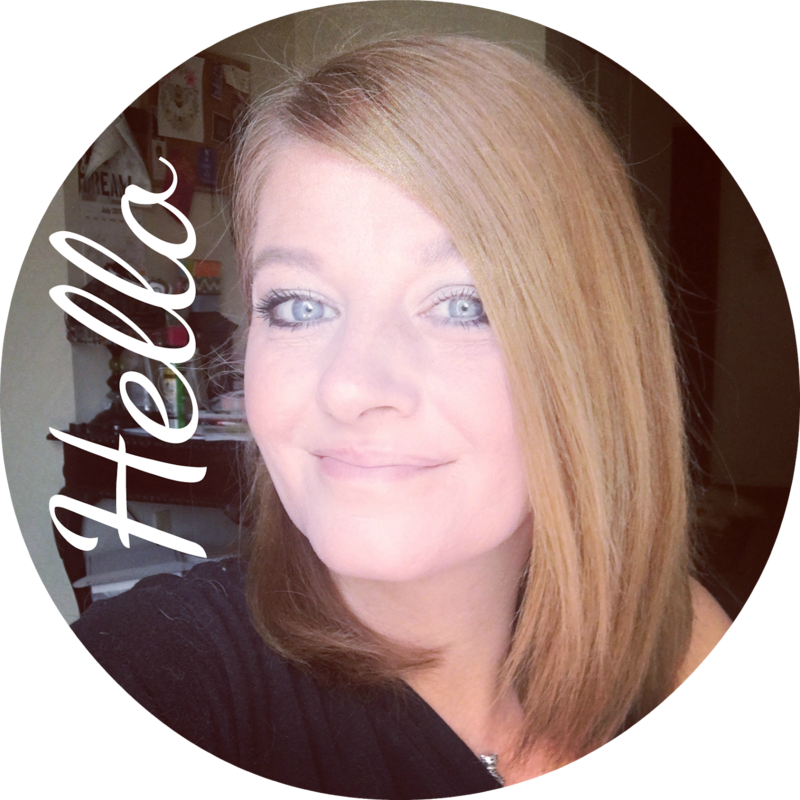 So there are tons of things you can make on it! and these were huge.. they actually made big waffles! In order to keep the cinnamon on the waffles in the waffle machine, its important to put the rolls on a plate.. cover them.. and let them sit in the frig for 24 hours. Orange rolls... only these were smaller..
Heat up the waffle machine to # 3 - medium- and be sure to press down and get the waffle maker closed! and turned out so cute! I took the icing and drizzled it all over our big and little waffles! 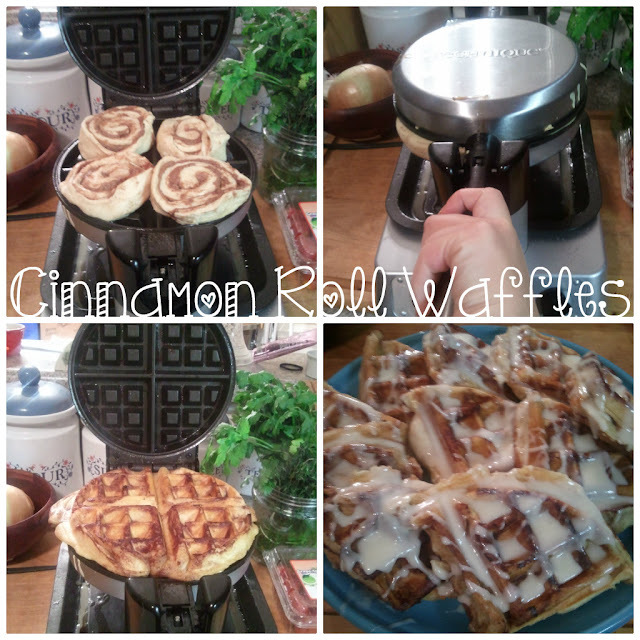 These were a great hit and so easy to make.. We didn't use syrup.. instead we just picked them up and ate them with our hands! These would be perfect for Christmas morning!